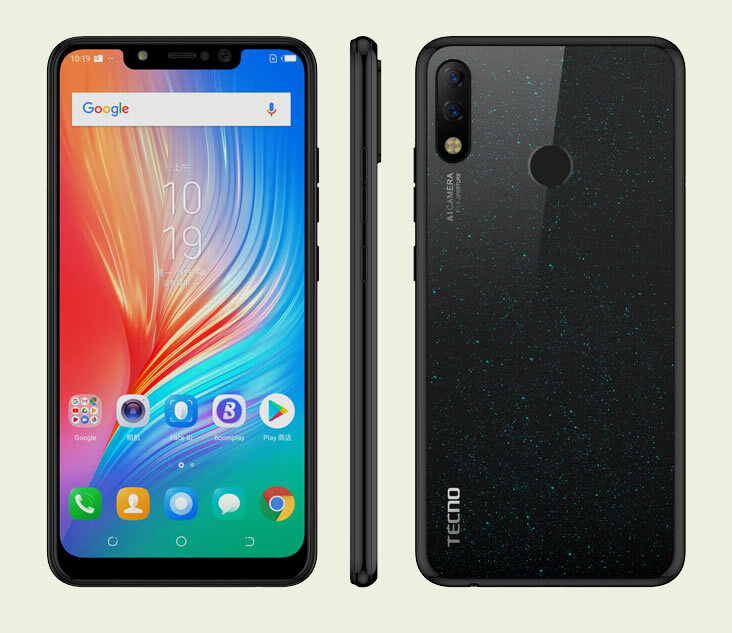 Tecno phones are some of the devices that currently command a sizable local market share here in Kenya but at the same time are least expected to feature on the international front. But that doesn’t necessarily mean they’re a no brainer for consumers looking for a budget phone with most latest technologies featured underneath. The new Tecno Spark 3 Pro might just convince most of us with it’s interesting features while maintaining a reasonable price tag to find a place in our jean’s pockets. As a disclaimer, you should understand this device doesn’t intent to replace the likes of Galaxy S10’s but will put on a good fight against the Samsung Galaxy A70. There are so many factors that’ll drive consumers in deciding on what device best suits their needs, these needs are often depended on individuals, but one factor remains constant – budget. Seeking to oust other phones in the mid-range category is often a futile exercise, especially in the android arena. There’s no such thing as a preferred or default king in this segment as quite often it’s never easy to get an all rounded handset. Tecno Spark 3 Pro has the price tag going it’s way but just adding a few coins could grant you an almost perfect handset such as the Huawei Y7 Prime 2019. I don’t know about you but I’d look at the screen the moment I consider having a handset before looking anywhere else. The Tecno Spark 3 Pro’s display panel is not going to wow most of consumers, especially those who’d have seen panels with denser pixels or coveted technologies such as AMOLED. But for the price tag, it’s not the worst you would expect; it’s still large enough and a notch makes it look more compact than what you’d have got with distinguishable bezels. Resolution is capped at 1500 x 720 pixels which is way above normal HD panels but a large display footprint stretches pixel density to 266ppi resulting in not so sharp texts and meagre color reproduction. We acknowledge the effort Tecno put in to ensure photos taken on the Tecno Spark 3 Pro aren’t so bad, but make no mistake this is not a photographer’s replacement, neither will it take the best shots you can get on a smartphone. The duo camera set up at the back will take decent and usable snaps and you’ll be impressed there’s a slightly larger sensor for selfies in comparison with close rivals. Something must have terribly gone wrong with tecno to imagine that 2GB RAM was sufficient to smoothly run android. Unlike iOS, android requires a lot of RAM to be operational, you should therefore expect frequent lags and some applications might not really find home on the Tecno Spark 3 Pro. Why the device carries the “pro” iteration is everyone’s guess I’d have hoped to get a minimum of 4GB ram – double what was put on the handset. The internal storage on the other hand is usable. Tecno Spark 3 Pro is available in Black, Gold, Red and Blue. It’s not a “Pro” device as the name suggests but if you’re looking for an android smartphone but have a severely limited budget, you’ll be amazed by what this device has to offer.